Dr. Lorraine D. Jackson’s current research interests include health communication and communication technologies. She published Health Communication Research: A Guide to Developments and Directions (with B.K. Duffy). Her scholarly work appears in journals such as Health Communication, Journal of Health Communication, Women’s Studies in Communication, Communication Teacher, and Academic Exchange Quarterly, as well as several books. She received the 2008 Top Paper in Health Communication honor from the Western States Communication Association for a research study (co-authored with D. Boulger). 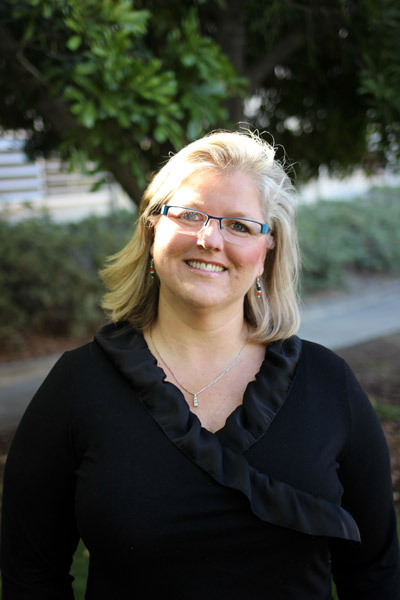 She is the recipient of grant awards from Cal Poly’s Center for Teaching and Learning for enhancing the Health Communication course with technology, and is also a member of the Academic Technology Initiative faculty learning community. Dr. Jackson is the current E-Learning Feature Editor for Academic Exchange Quarterly. A forthcoming 2009 publication (with J. Grimes) is titled “The hybrid course: Facilitating learning through social software” in T. Dumova & R. Fiordo (Eds. ), Handbook of Research on Social Interaction Technologies and Collaboration Software: Concepts and Trends. Additionally, Dr. Jackson has been appointed to serve as the Oral Communication Consultant for the University Learning Objectives (ULO) assessment project. She is listed in the 2008-2009 Marquis Who’s Who in American Women 50th anniversary edition and is a member of the Western States Communication Association, the American Association of University Women, and the National Communication Association.